Whether you eat it in the form of a bowl of cereal or sprinkled over yogurt, having a batch of fresh granola on hand is always a good idea. 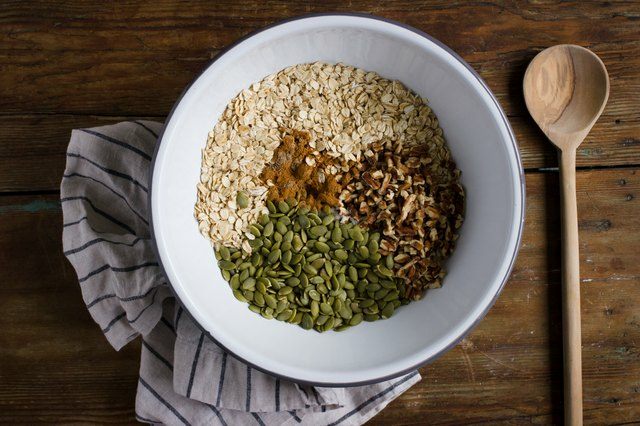 Making granola at home is a relatively quick process, plus the smell of it baking will fill your home with the aromas of cinnamon, cloves and cardamom. 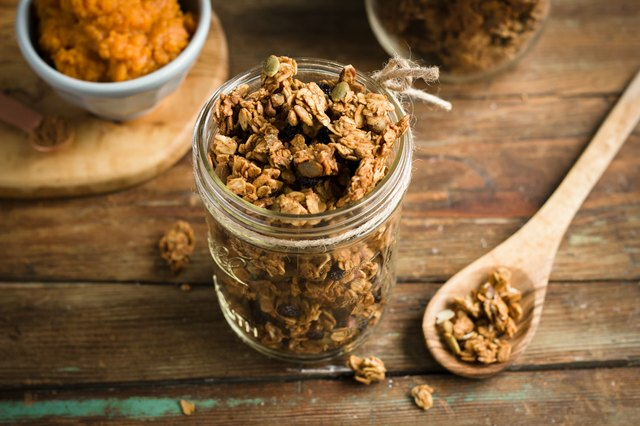 This recipe has a combination of spices, plus a bit of pumpkin puree, which results in a satisfying batch of granola that basically tastes like fall. Heat your oven to 300°F. Add the oats, pepitas, pecans, nutmeg, salt, cinnamon, cloves and cardamom to a large bowl, mix to combine and set aside. 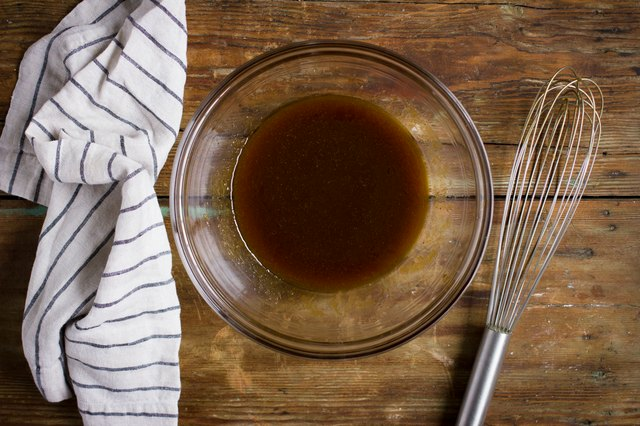 In a separate bowl, whisk together the brown sugar, coconut oil, vanilla extract, pumpkin puree, and maple syrup until smooth. Combine the wet and dry ingredients, and mix well to ensure the dry ingredients are evenly coated. In another bowl, whisk the egg white until foamy, then fold into the oat mixture. 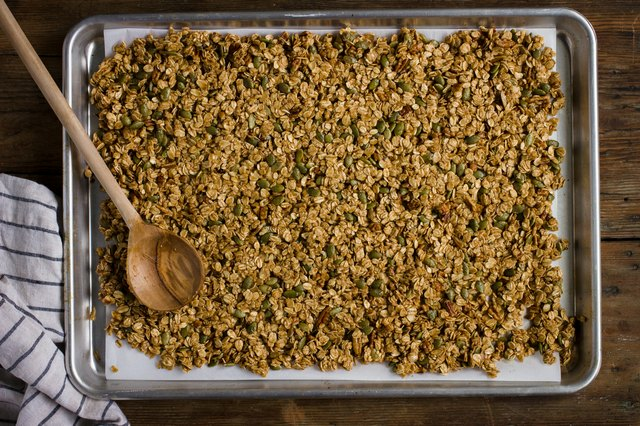 Pour the oat mixture onto a parchment paper-lined baking sheet, spreading it out as evenly as possible. Bake until gold brown, about 45-50 minutes. 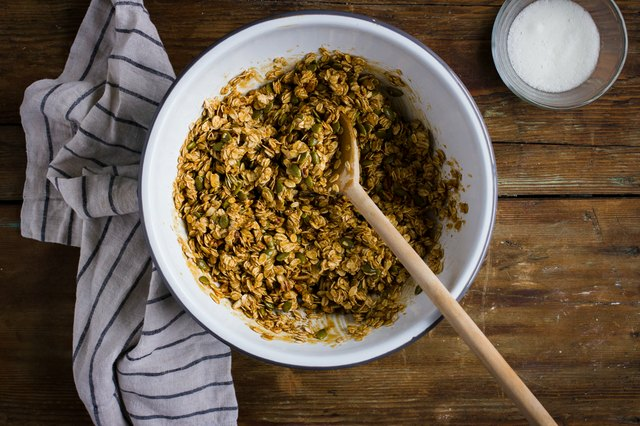 Halfway through baking, remove the sheet from the oven and gently flip sections of the granola with a spatula, trying to keep the clumps as intact as possible. Remove from oven and add currants. 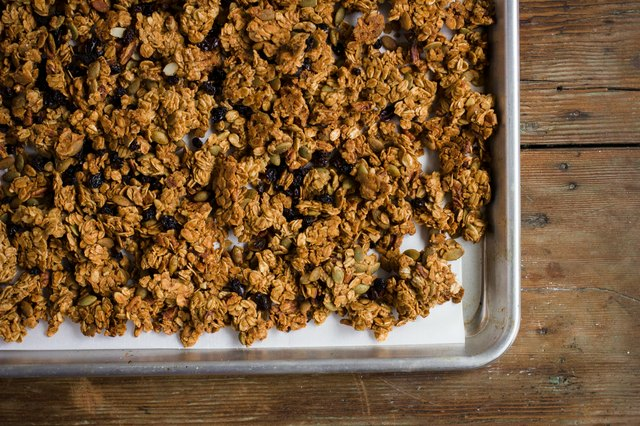 Let the granola cool completely before breaking into desired sized clumps.